Picturesque, Victorian style homes, quiet lanes, and family recreation go hand in hand in Cape May, New Jersey. This beautiful seaside getaway falls just below the Mason-Dixon Line at the southern tip of the state. The fact that this entire former whaling town is on the National Register of Historic Places tells something about its historic appeal. Fun excursions prove as simple as a ride on the town trolley or a sightseeing surrey, a climb up the 199 steps of Cape May Lighthouse, or a stroll along seven miles of scenic beach. Between April and November (summer months are peak season), whale watches embark to view whales and dolphins feeding in the coastal waters. The Nature Center of Cape May (609/898-8848) provides year-round natural history programs, including a hands-on Harbor Safari and a butterfly garden tour. If the creatures of the beach aren’t enough, the Cape May County Park and Zoo (609/465-9300) features nearly 200 species of animals and a Children’s Zoo. 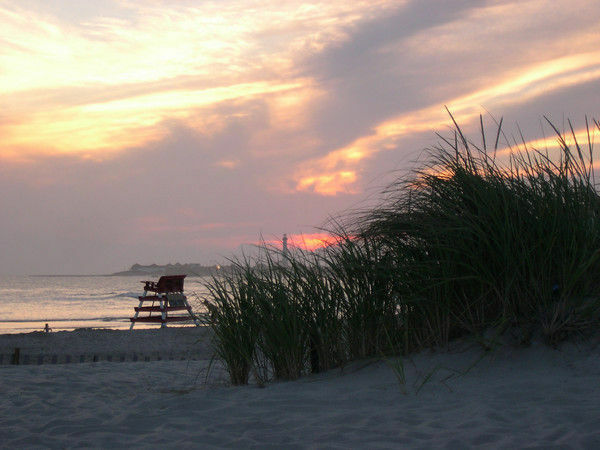 Although Cape May welcomes visitors all year round, it becomes much more kid-friendly come summer. The local Mid-Atlantic Center for the Arts (MAC at 800/275-4278, 609/884-5404) sponsors a few fun Kids Days in July and August in addition to a variety of tours, as well as afternoon Teddy Bear teas, festivals and special events. Each summer, old time Kids Days events are held at the Emlen Physick Estate. For this event, Cape May’s only Victorian house museum, located at 1048 Washington Street, is transformed into a wonderland of bubble-blowing, hatmaking, face-painting and story telling. Other days out, such as the regular Teddy Bear Tea Party at its Carriage House Tearoom and Cafe give kids a chance to dine with their favorite teddy bear. If you go shopping (or browsing! ), The Toy Shop on the Washington St. mall offers an especially enticing selection for youngsters. For winter travelers who brave the sometimes damp, chilly air, Cape May stays alive with festive events such as Taste of Christmas Walking Tours and evening Holly Trolley Rides. 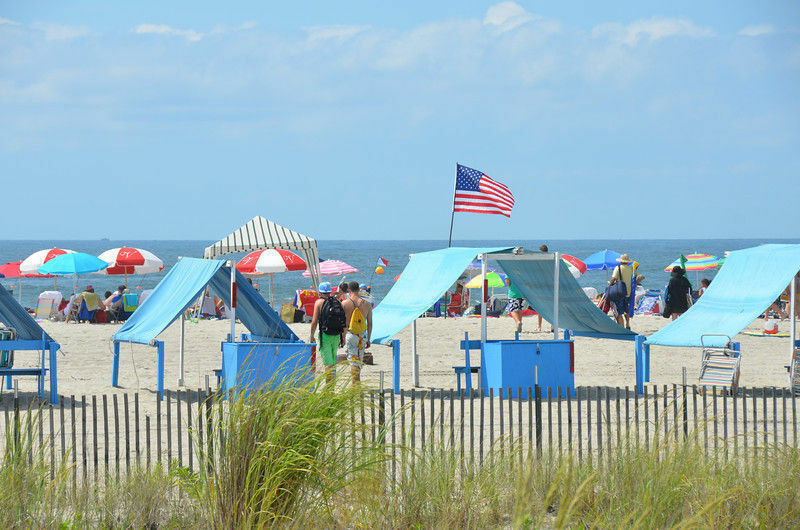 Visit Cape May to learn more about what this traditional beach getaway has to offer. 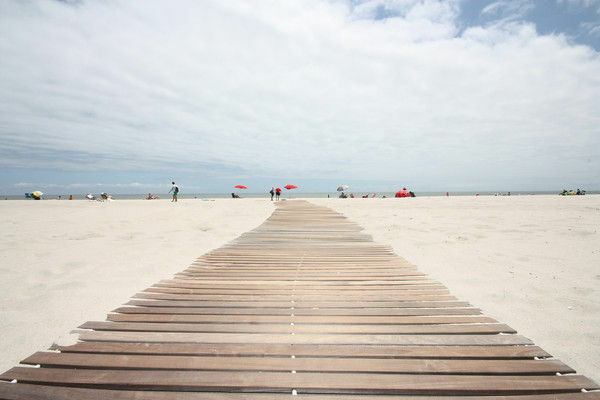 Speaking of the beach, although it hugs the Atlantic, the narrow and crowded sand stretch lends itself to strollers and sand castle builders more than swimmers. Amidst Cape May’s array of Victorian lodging, full of antique furniture and decorative charm, several accommodations accept children. 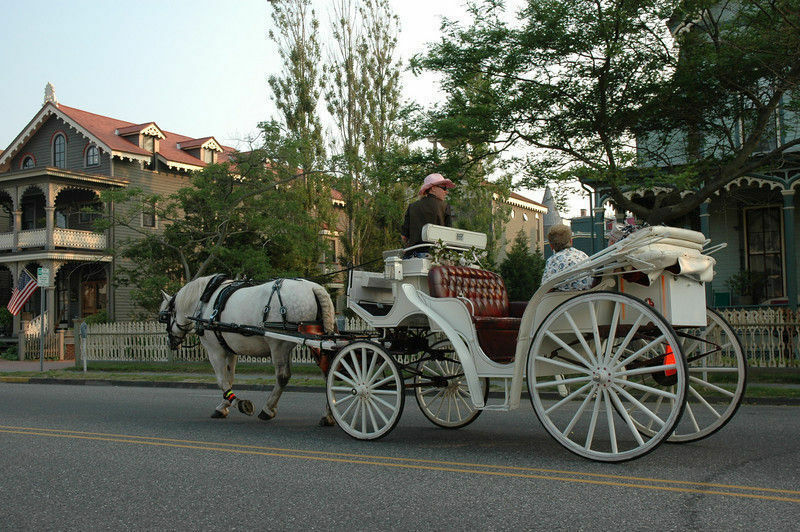 The Virginia Hotel (800/732-4236) offers 24 guest rooms, some of which have private porches. For the musically minded, each room includes a CD player and there’s piano entertainment in the public area. August rates are the highest, with extra charges for additional guests beyond two. The Virginia Hotel does not accept children under 12. Families with younger children should check out their sister properties: The Sandpiper Beach Club (800/732-7816); and Congress Hall (888/944-1816 or 609/884-8421). Read our story on congress Hall and their sister hotels, all Cape May Group properties for families. 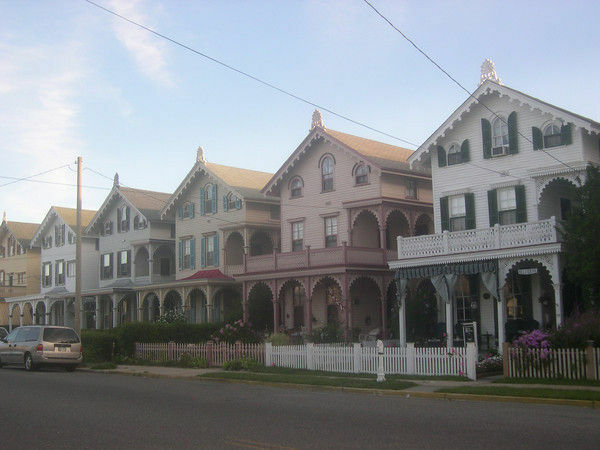 The Mainstay Inn (609/884-8690) is Cape May’s original bed and breakfast. This inn welcomes children over 10, since “young children generally find us tiresome” (the Mainstay website’s claim). A peaceful stay in one of the Mainstay’s guest rooms or Officer’s Quarter suites includes breakfast and afternoon tea. Rates range from $ – $$ per night, double occupancy, depending on season. The Queen Victoria Inn (609/884-8702) stands one block from the ocean with 21 rooms and suites, all with private baths and mini-refrigerators. This inn, like most others in Cape May, also offers breakfast and tea. Rates fall between $ – $$$ based on double occupancy, plus $25/N for an extra person, even a young child. Finally, for an especially warm welcome for your children, contact the Cape May Chamber of Commerce (609/884-5508). Their website or helfpul staff has a referral system to match families with Victorian-style apartments and suites. Prices vary widely but standards are very high and places are ususally well-maintained year round.